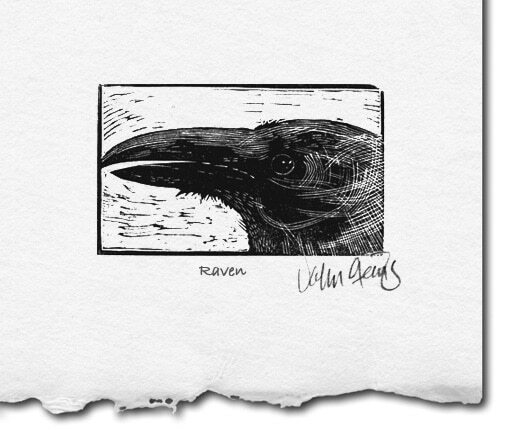 This wood engraving of a raven depicts a precocious, brazen and intelligent bird. My print attempts to portray those characteristics with head and beak in profile. I approached this topic as a pencil sketch directly on the block surface using the engraving burin as a drawing tool to make the image. Deckle paper for illustration purposes only.